This workshop is 18 hours. 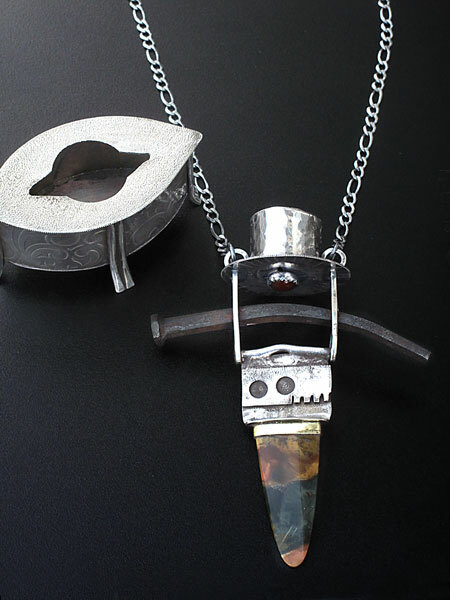 In this workshop you will fabricate a one-of-a-kind necklace using found objects, scrap silver and gemstones. To showcase your creation you will construct a box that will serve to keep your piece on display when you are not wearing it. You will also learn to make your own fold-over clasp for a secure chain closure. 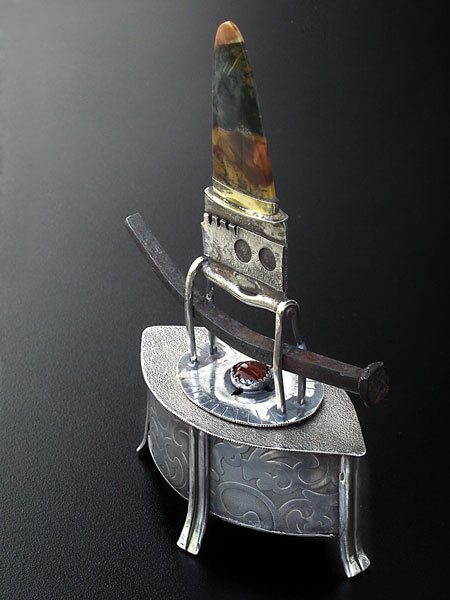 In the end you will have true object d' art worthy of being put up on a pedestal. For more samples of 'Up On A Pedestal'Click here! Bring a cabochon of your choosing that will fit on a 1.5" x 1.5" base with sufficient room left around the stone for embellishments. I will have some stones also if you don't have one to bring. 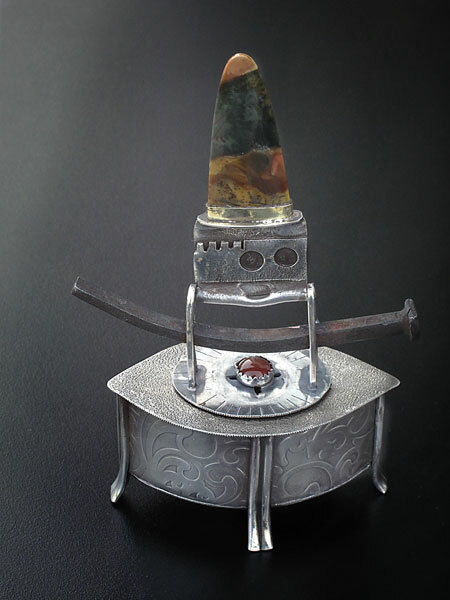 Bring found objects or additional stones you want to incorporate into the piece.